The brain is a soft-tissue organ surrounded by the bony structure of the skull, where changes in one require changes in the other. From infancy, the bones of the skull are separated by membranous sutures and with rapid brain expansion, these membranous regions of the skull are replaced by bone, fusing the skull into a protective structure around the adult brain. Ontogeny describes changes in the same anatomical structure throughout the life cycle, including the differences between age groups, within a species and across species, while allometry can explain size-related changes to skull shape, particularly between species. The individual bones of the skull join at sutures to form modules which include the facial block, the cranial vault and the cranial base. A new paper by Scott et al. 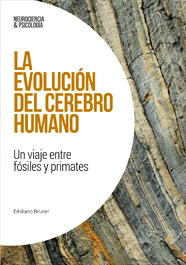 (2018) examined allometry and ontogeny in the hominid skull. The skulls from three hominid (great ape) species included the Bornean orangutan, the Western lowland gorilla and the common chimpanzee from several age groups were analyzed, and geometric morphometrics was used to capture shape change and allometry in the facial block and endocranium (as an indirect proxy for brain form). Covariation between the facial block and endocranium was tested using 2-block partial least-squares analysis. Results for ontogeny suggested endocranial change was lesser in younger age groups but with increasing age, orangutans separated from gorillas and chimpanzees, showing the greatest difference in face-to-brain shape. Results for allometry indicated that changes in facial shape were mostly related to size differences. However, the endocranium was not entirely influenced by changes in size, suggesting shape change in the endocranium is somewhat independent. Ultimately, Scott and colleagues have shown the covariation between the facial block and the endocranium was more conserved in all three ape species in younger age groups, but the facial block continued to change shape into adulthood even after the brain growth had stopped. This suggests the endocranium is driven by changes to brain form during earlier stages of life before the cranial vault exerts a greater influence in late adolescence. However, the greatest change to skull morphology occurred during adulthood in facial shape. This entry was posted on Friday, February 8th, 2019 at 10:38 am	and tagged with allometry, apes, Cranial integration, facial block, ontogeny and posted in Morphometrics, Paleoanthropology, Paleoneurology. You can follow any responses to this entry through the RSS 2.0 feed.